The King of buffets, Veranda Bistro, recently launched their breakfast buffet for a low price of Rs. 650. Served Monday to Saturday between 8 AM and 11 AM, be sure you go to this one with an empty stomach – because it is truly mindboggling! For all the weight watchers and healthy eaters, there are a bunch of delicious salads to help curb your guilt. The Mediterranean Salad makes for a light and satisfying meal, but in my opinion their German Potato Salad is downright perfection! This dessert, originating from medieval Europe, is made of perfectly cut pieces of fruit, soaked in a sugar syrup. The whole fruits are cooked in water, with sugar and spices that are nothing short of a burst of tantalising flavours for your taste buds. A must try for sure! So Many Eggs, So Little Time! Mushrooms are the most versatile of ingredients, with a meaty texture and a rich, deep flavour ideal for vegetarian dishes. These eggs are beat to perfection and the cheese and mushrooms add much needed flavour to spruce up the dish. However, if your tastes are more conventional, there is always the Pakistani omelette with tomatoes and all the desi feels that make you feel like you’re having breakfast at home. Making Eggs Benedict requires careful orchestration. This traditional American breakfast dish consists of two halves of an English muffin, topped with a poached egg and drizzled in a delicious Hollandaise sauce. Luckily for us, Veranda nails the formula to pure perfection. 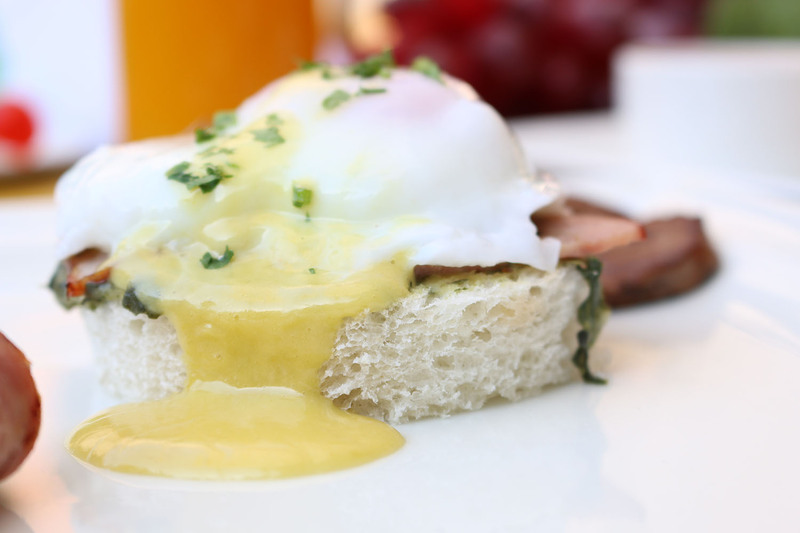 Breakfast seems almost incomplete without a Poached Egg, doesn’t it? 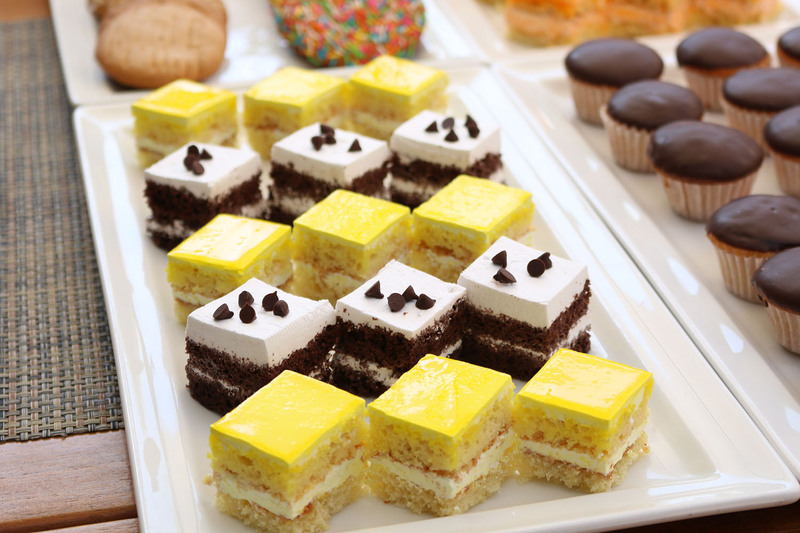 No matter what you add to your plate from the buffet, make sure you grab these delicate little bites of heaven. Deeeelicious! Your classic sunny-side-up egg gets the royal treatment at this buffet. A must-have on your breakfast plate! Who doesn’t love a well-cooked steak? Having one for breakfast is the answer to every meat-lover’s morning wish. Pop the slice of steak onto your plate and prepare to devour it. 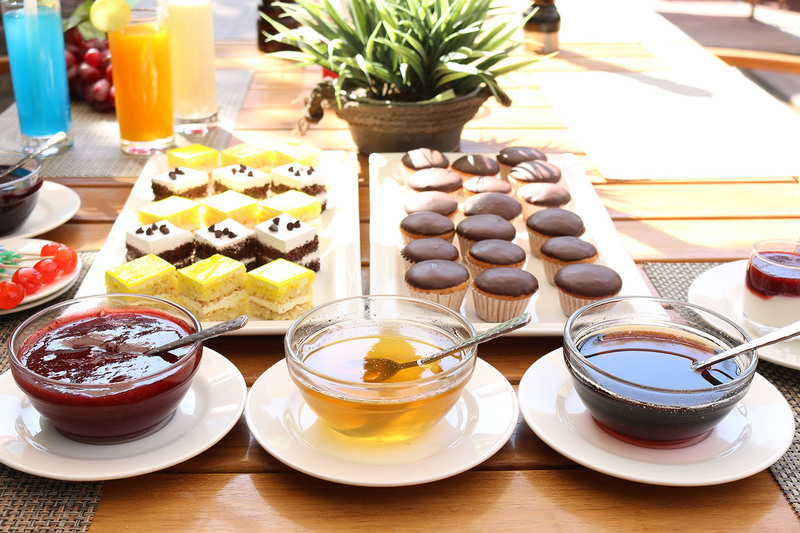 Dessert doesn’t go to the stomach, it goes straight to the heart, and this lineup has it all; From assorted muffins, cookies and pastries, to French toast, panna cotta and pancakes, their desserts are just what you need to finish the big feast! For me, it was the Panna Cotta that stuck out most. Deliciously light and creamy, these delectable vanilla bean bites, with thickened cream, are a guaranteed crowd-pleaser. 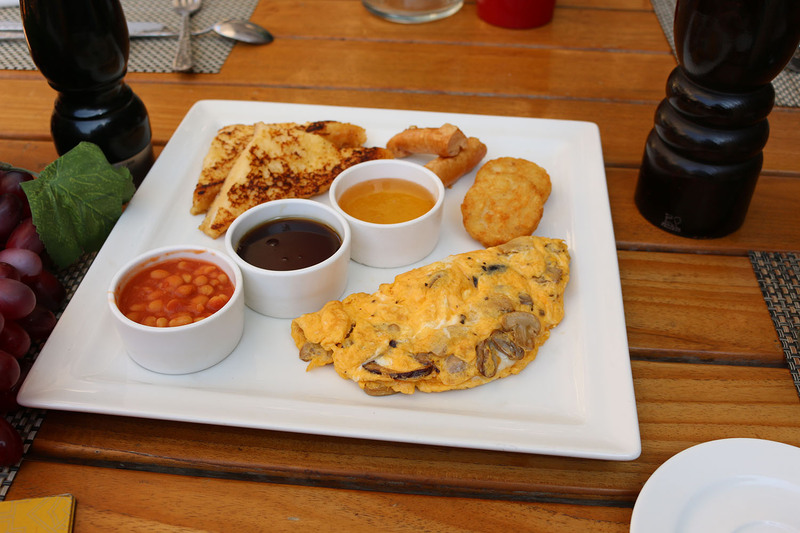 There is a reason breakfast is the most important meal of the day, and with so much variety and such great quality, Veranda Bistro is helping you kick start the day just right!